As a Nature Photographer, it is my goal to capture an image that is composed as if it were a painting. 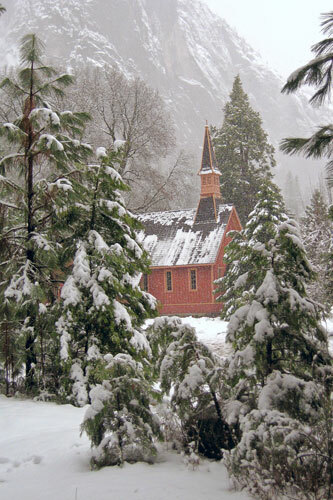 On many occasions I have captured extraordinary images that truly have the look of a painting. With the aid of Adobe Photoshop and Corel Painter I have applied an artistic hand to these images. When printed on fine art papers, such as Watercolor and Canvas, for example, these images truly are paintings. The first image on this page in the Horiaontal Gallery is my first and perhaps my very favorite of my digital paintings. 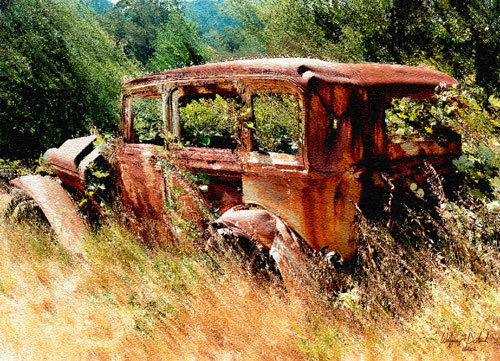 This image began as a photograph of an old rusted car, overgrown with weeds, at the edge of a vineyard in Cloverdale. Sadly, soon after this was taken, the vineyard was plowed to make room for a new subdivision. I named it "Vinecar". "Vinecar was published in Photoshop User Magazine in the January/February 2005 issue.